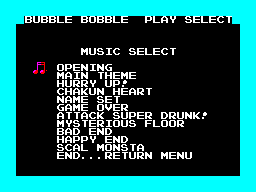 Bubble Bobble / Final Bubble Bobble (ファイナルバブルボブル / 파이널 바블보블) / Dragon Maze - Cheats - SMS Power! At the options screen, press so the screen border changes to blue. 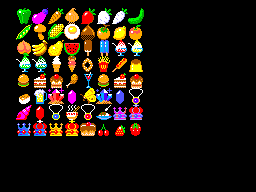 Then enter one of the following cheats. If you do it correctly, the screen border will flash and in most cases, the extra items will be displayed on the left of the screen.